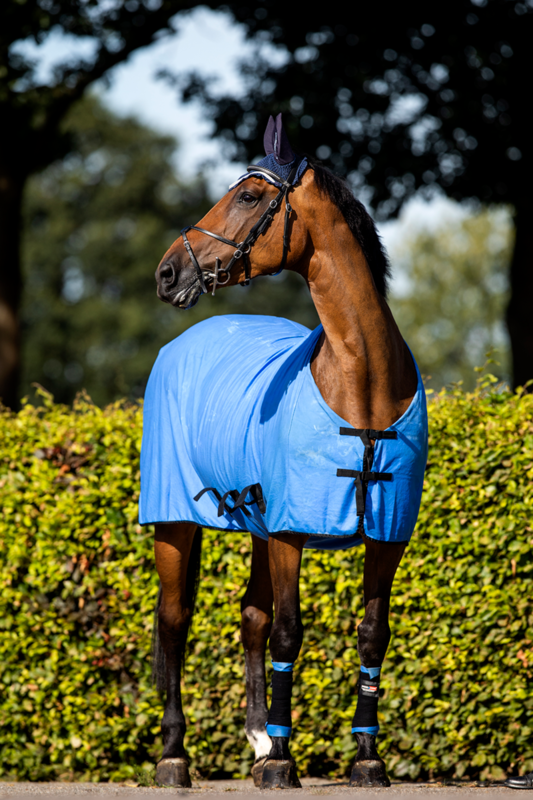 The cooling products (bandages, blankets and loose neck piece) by Hydrocool ensure long-term cooling of horses or tendons after an intensive workout. This without using ice. Wetted at home, wrung out and carried in a plastic carrier bag, it makes for a very good cooling of the warm horse and warm tendons. 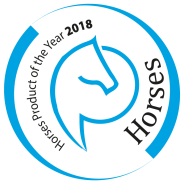 The product does not go moldy, is antiallergenic and cools for a long time. In addition, no chemicals are used. The special fabric with hollow fiber has been extensively tested in hot countries. The coat remains dry, even after the wet blanket has touched the skin of the horse.